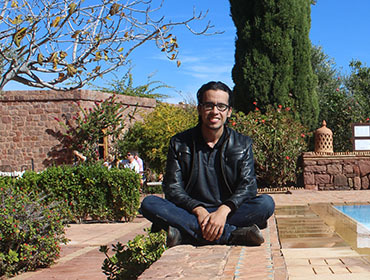 Youssef Yakoubi, a young researcher from Agadir, southern Morocco, holds a Masters’ Degree in Anthropology and Sociology of Change from the Moulay Ismail University in Meknes. Throughout his academic career, he focused topics ranging from rural sociology, rural development, agrarian dynamics, and collective action for community development. For his Masters dissertation, he studied about the influence of social structure on economic activity and the social production of trust and cooperation between merchants of rural origins. Youssef is currently carrying out an ethnographic study on beekeeping practices in the High Atlas of Morocco.